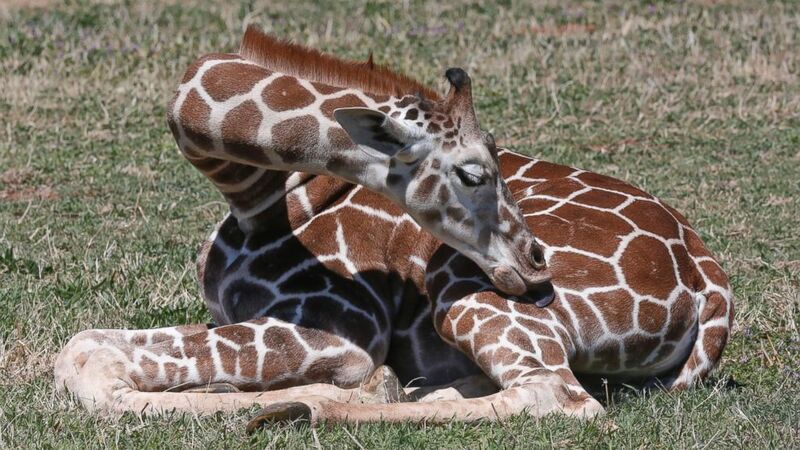 Oklahoma City, USA zoo regrets to announce that attempts to correct a heart defect were unsuccessful, and Kyah, a six-month-old giraffe, died in surgery. The word “judgmental,” meaning overly moralistic or critical, dates only from the 1960s. Until that time, the greatest writers and thinkers were able to express themselves in English without using that word. What happened in the 1960s that suddenly made that word seem necessary? Did we achieve a deeper understanding of the need to avoid criticizing others? On the contrary, debate on political and social issues became more, not less, vitriolic. What changed was that many people became so besotted with “tolerance,” “diversity,” and “sensitivity” that they rendered themselves unable to criticize anything, no matter how intolerable it was. But there was one exception. They could – and did – criticize harshly anyone who expressed conservative views. There they could be as judgmental, intolerant, and insensitive as they liked. How illogical. How self-contradictory. But how convenient. Most of all, these people felt free to criticize anyone who expressed pro-life beliefs. They called them “anti-woman,” although recent surveys show that women are more likely to hold pro-life opinions. These people descended so low that they came to view abortion, even of viable babies, as a positive good – virtually as a sacrament in the Church of Death. 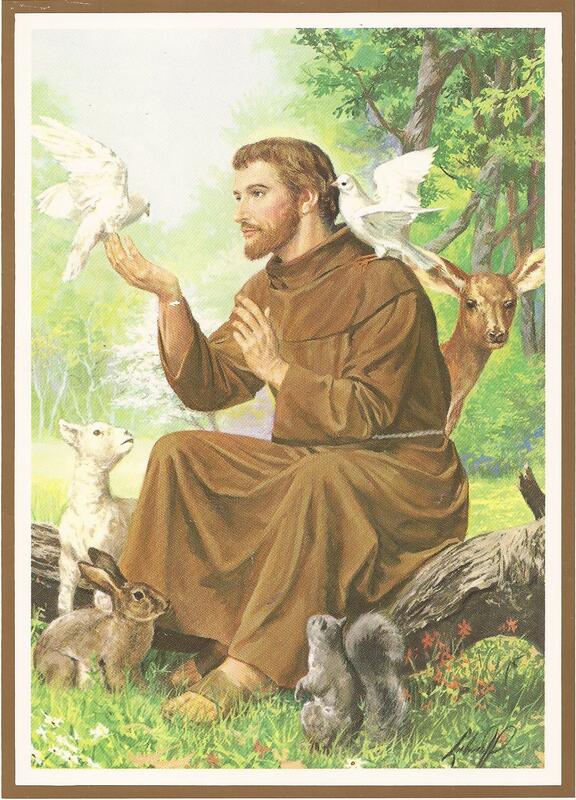 As their patron saint, they rejected Saint Francis of Assisi, who loved animals and preached to birds. Instead, they chose “Doctor” Kermit Gosnell of Philadelphia, who aborted thousands of fetuses – and who murdered hundreds of viable almost-born and actually born babies by inserting scissors into their spinal cords. A DVD of the movie is available. Watch it and see how far we have fallen. Oh yes, they pretend to favor animal life over human life. They cut off water to the rich farmlands of California’s Central Valley, supposedly to save the delta smelt, a two-inch fish. They delayed drawing water from a lake, supposedly to protect endangered fish, while four firefighters – two of them young women – burned to death in a forest fire. With this prologue, we come to the two giraffes. Regrettably, they are both dead. But perhaps we can learn something valuable from the circumstances of their deaths. These events occurred a few years ago, but they are even more relevant today, considering Virginia Gov. Northam’s approval of what amounts to infanticide, and congressional Democrats refusal to forbid it. How he defined “needs” is unclear. But his definition did not include the need to treat the animals in his care humanely. His definition did not include the need to remember that the animals were not his property, as if they were furniture, but rather that they were God’s property. We are just their caretakers, ultimately responsible to the Owner for their well-being. And his definition surely did not include the need to serve as a good example to zoo visitors, especially children, and to educate them to view all life as a sacred trust. Instead, he felt the need to show children how a beautiful, harmless animal could be butchered and fed to lions. 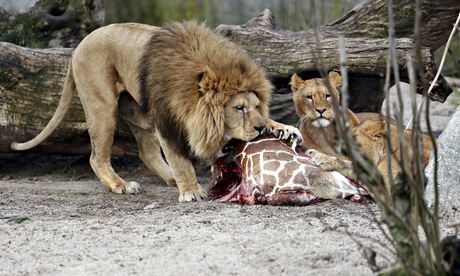 The lions learned merely that they were having an unusually tasty meal. But the children learned that cruelty was acceptable behavior not only for wild beasts, but also for human beings – for them. In stark contrast, we see the zoo in Oklahoma City. There the personnel bent every effort to keep young Kyah alive, including difficult surgery. Sadly, their efforts did not succeed. But they tried. As a retired medical oncologist, I know very well that the best efforts of all physicians and veterinarians must ultimately be unsuccessful. All living beings eventually die – that is what makes life so precious. That, and the realization that all life comes from God. Danes are among my favorite people. My argument is not with the Danes. My argument is with anyone, anywhere, who views living beings as things to be disposed of in any way that he finds convenient. The two giraffes are equally dead. From their point of view, there is little difference. But from our point of view, there is a huge difference – or at least there should be. Marius died unnecessarily, because of the calculated cruelty of the zoo personnel and the cold indifference of all the others who stood by idly and let it happen. Kyah died despite the best efforts of everyone to save her. There could not be a difference of greater moral significance. I am not saying that Americans are better than Danes. I am not saying that American zoos are better than European zoos. I am saying that people who revere life – all life, even inconvenient life, even life that is “surplus to our needs” – are better than people who view life, even human life, as worthwhile only if it has economic value to others. You know, people who say, “The elderly have a duty to die.” And people who say, “Let the girl die; transplanting an adult lung is against the rules.” And people who say, “Maybe you’re better off not having the surgery but taking the painkiller.” And then, in a classic bait-and-switch scam, pain medication is being severely restricted. Have a nice day. The notion that the “authorities” have the right to decide which living beings are “surplus to our needs” is dangerous in the extreme. It is dangerous to animal life – just ask Marius. It is dangerous to human life – just ask the seriously ill patients who are losing their doctors and hospitals because of new federal regulations. But worst of all, it is dangerous to our ethical life. It gives the “elite” the false impression that they have the right to destroy what they cannot create. What consequences will flow from this false belief we cannot foresee, but they will not be pleasant.